"I thought if I could deliver Oliver Lawless I'd be a hero." 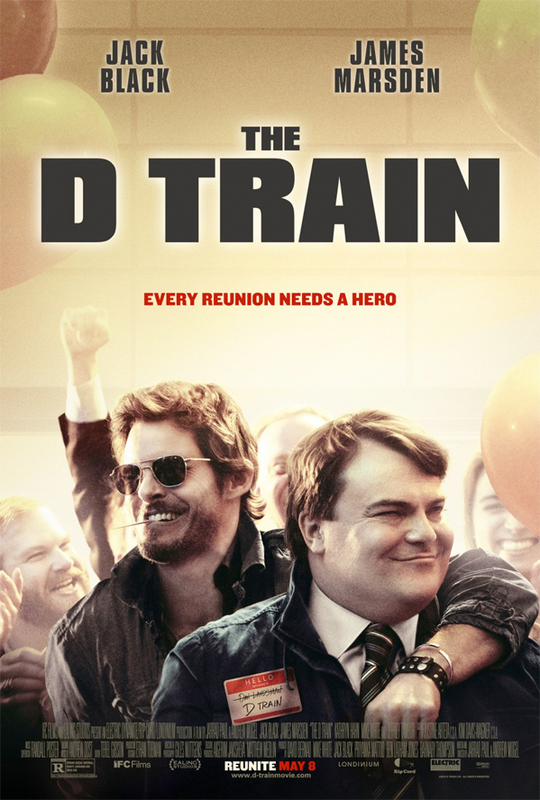 After premiering at Sundance earlier this year, the outrageous bromantic comedy The D-Train has just debuted its first trailer. Jack Black stars in the film as Dan Landsman, always trying to be the cool guy, but never getting invited out to the bar with his co-workers. But then he thinks the magic ticket lies in getting old classmate Oliver Lawless (James Marsden), who seems to be a successful actor in Los Angeles, to come to the next high school reunion. But his attempt results in more than he bargained for. Thankfully, the trailer only hints at the hilarious twist. I loved this comedy at Sundance, and it's probably Black's best since School of Rock in 2003. Watch below! Read my review of The D-Train from the Sundance Film Festival right here. The D-Train is written and directed by Jarrad Paul and Andrew Mogel (writers of Yes Man). 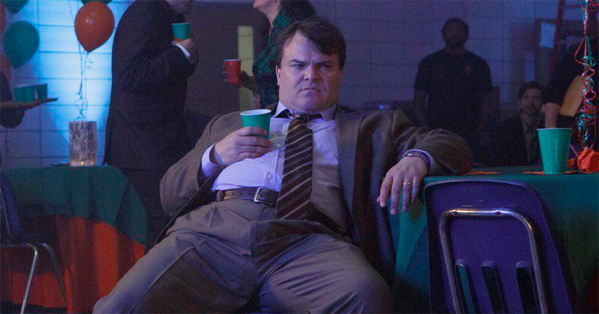 All his life, Dan Landsman (Jack Black) has never been the cool guy. That’s about to change – at least if he can convince Oliver Lawless (James Marsden), the most popular guy from his high school who’s now the face of a national Banana Boat ad campaign, to show up with him to their class reunion. But when Dan heads to Los Angeles to track Oliver down, he gets more than he bargains for as the unpredictable Lawless proceeds to take over his home, career, and entire life. Kathryn Hahn and Jeffrey Tambor also star in the film which premiered at the 2015 Sundance Film Festival (read our review here) and IFC Films releases it this summer on May 8th. By the title, I thought it was going to be a Tenacious-D movie. Did they hook up in the movie?! I think that's the 'hilarious twist'. "Every reunion needs a hero." ??? What the hell?! Love Jack Black but the movie looks stupid. Grosse Point Blank... only move that ever needed to be made about high school reunions! Chronological trailers should be banned. And this one is their epitome. Bah. Jack Black is in need of a good comedy.